This small publisher offers David Bramhall's detailed and entertaining new book on organising and training children's choirs. School teacher, music administrator, conductor, adjudicator, composer and author David Bramhall was educated in London and at Durham University before teaching in schools as far apart as the East End of London and the Scottish Highlands. In later years he settled in East Anglia and worked in schools in Norfolk and Suffolk, and latterly ran the Music Service of Suffolk County Council. David's two music textbooks Composing in the Classroom Opus 1 and Composing in the Classroom Opus 2 were first published by Boosey & Hawkes in 1989. They still sell steadily all over the world especially in Canada, Australia and New Zealand, are recommended by the Government of Saskatchewan and have even been translated into Greek! 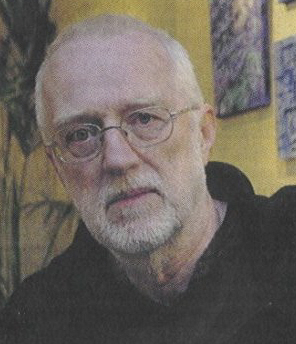 He has also written articles for the Times Educational Supplement, Music File (an educational partwork, Mary Glasgow Ltd. 1988 - 1990) and was an Editorial Consultant to Silver-Burdett-Ginn (USA) during preparation of their major "music method" for schools. Of all his musical activities, choir-training has always been David's first love. Since 1987 he has been at various times the MD of the Suffolk Jubilee Choir (very large, whole-county selective youth choir), Ipswich Girls' Choir (35 girls aged 10 - 15, non-selective), High Voices (very select and occasional ladies' choir) and the Concentio Youth Choir. He has conducted at the Britten Festival, the Aldeburgh Festival, Aberdeen International Festival, and at prestigious venues in France, Italy, Hungary, Poland, the Czech Republic and Switzerland. In 2001 he founded the remarkable Harmony Girls' Choir. The Choir - which grew rapidly to include the main choir, two training groups in different counties, and a chamber ensemble for older girls - made a priority of competitive singing and just six weeks after its first rehearsal was awarded the title "Choir of the Day" at the Sainsbury's "Choir of the Year" competition. Thereafter it embarked on a sadly short-lived but astonishingly successful career of regional and national competitions. All four groups competed in their own right; two of them never went to a competition without bringing home first prize; none ever came lower than third place. The main choir also toured in Europe and produced three commercial CDs, while one of the training groups featured five times on Anglia Television. Here are some of the things competition judges and newspapers have said about David's choirs: ... a great deal of choral expertise ..... very beautiful indeed ..... a terrific performance ..... such a lovely sound and a good atmosphere ..... glossy, sensuous singing ..... entire programme was an adventure in choral singing ... a fine choir, beautifully trained ... the best small-choir concert I've ever heard … What a wonderful choir! When can you come to Texas? His book Training your young choir ( "very impressed with this book ... well written, with a very engaging and often amusing style" - The Mastersinger) was originally written at the request of publishers Boosey & Hawkes, but was first published as an eBook through this website. It has recently (March 2011) been issued by CreateSpace/Choirmaster Press as a paperback, and is available from Amazon. Click here for details. After retiring from full-time work David taught himself to use HTML code and launched a new career as a website designer. One website of social and political comment attracts 20 million visitors a year, while Pay the Piper won the "Best Music Website" award in 2004, is recommended by the DfES, and has helped many hundreds of children and young people to realise their dream of playing a musical instrument. One American choir resources website lists it as number 21 in their list of 100 best choir websites (this website is number 22!). 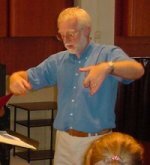 David enjoys adjudicating at competitive choral festivals, and many choirs and choral conductors have appreciated his enthusiasm for what they do, and his entertaining and very practical advice on how to do it better. He was appointed to the panel of adjudicators of The British and International Federation of Festivals. 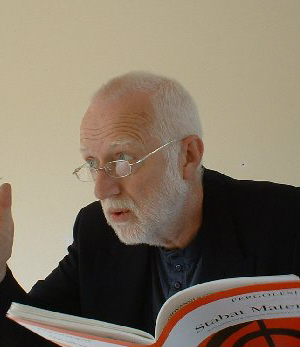 As a composer David has completed dozens of arrangements mainly for choirs, and his original compositions include The Monster Music for choir and orchestra,	two operettas Gabriel Grubb and The Wreck of the Daisy-Belle, Petty Morcels for piano, Three Songs of John Donne, Missa Brevis and Six Minute Mass for choir, Six Silly Songs for Children, a song-cycle for children Stone in the Water, a didactic work The Big Bad Band Book, and Suffolk Tales for full orchestra, written as incidental music for television. He provided title music for an edition of ITV's Marquee arts series, and incidental music for Les Enfants de Britten, an hour-long documentary for French television. 2012 saw the first performance of a new work, Chaconne: Silence dere Shadoe by "Amici" Chamber Choir who also in 2013 performed Echo sings another song, with words as well as music by the composer, for the first time. Now retired from active music, David has turned his attention to writing fiction. A five-volume series The Greatest Cape is already available from bookshops and online from Amazon, as are two stand-alone novels The Honeyplot and Kitty in the Winter Wild. Also available is a collection of short ghost stories entitled Aurelia. You can contact David by sending an email to davidbramhall@fastmail.fm, or by telephoning 01379 854124. I've been running a school choir for several years, and found this book by chance. Never before has anyone explained to me the "tricks of the trade" that a choirmaster can use to achieve the highest standards with ordinary kids. A complete revelation. I keep it by my bed and read it every night. It's even quite funny in parts! I had never realised just how much detail it was possible to tackle when training childrens choirs. The little recorded excerpts on the choirmaster.co.uk website show that this author really does know how to produce the most stunning singing from young people. The book is not the easiest read, and takes some concentration, but my goodness theres such a lot to learn! I enjoyed reading this and found it just right for my new venture, a small village children's choir. I did not feel patronised by it, but he uses accessible language and gives lots of really good ideas. It is thorough and well informed. Alongside Jean Bartle's book Sound Advice, I don't think I'll need any others for quite a few years. Practical and very useful for the church choir. And here are some MP3 sound files of The Harmony Girls' Choir, recorded at different locations during actual concerts in 2002-4. There are two ways of downloading these files. EITHER click on one of the titles and wait, in which case your computer should download the file and play it from source, OR right-click on a title, click "save target as" and choose a suitable directory to save it to ("My documents/My Music" is the obvious one) before clicking "OK". In the second case, you are installing the file on your own hard disk and can listen to it as many times as you like. Once the MP3 file is safely saved, simply go to the directory you chose and double-click on the title to make it play. If you don't have broadband these files may take some time to load. They are mostly about 1.5Mb.